Although we might not like to think of it, death is a certain fate for us all. When we pass away, our families will go through a stressful and traumatic time as they come to terms with their loss. At the same time, there is a requirement for the administration of our estate, and this is usually bestowed upon a close relative or friend during this already painful time. However, a lack of foresight and planning can be catastrophic, leaving behind a tangle of assets and liabilities and possibly a hefty inheritance tax bill, depending on jurisdiction. On top of that, the absence of a will can mean a distribution of assets on the basis of standard 'default' rules, rather than on the basis of your individual preferences. In this article, we will look at some common provisions in the absence of any will, and aim to justify the benefits of making a comprehensive and clear will during your lifetime. Most jurisdictions will bear some liability to tax on death. This can be a specific problem for the administrators of estates, usually close friends, who must ensure every known asset and liability is accounted for before making legacies and signing off the tax bill. 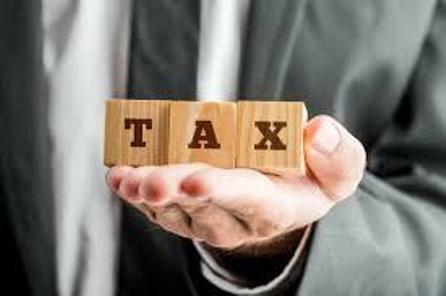 A major problem comes with the personal liability attributed to the administrators, which means that should anything 'slip through the net' which is later discovered, there may be increased liability to tax. In practical terms, this could mean a surprise bill for several thousand which has already been distributed in legacies and for which the administrator must personally account. Providing for these outcomes in a will is one of the best ways of avoiding this hassle and stress, and it can also be the best way to ensure all assets and liabilities are uncovered. By drafting an effective will, you can be sure your loved ones don't face financial hardship after you're gone. 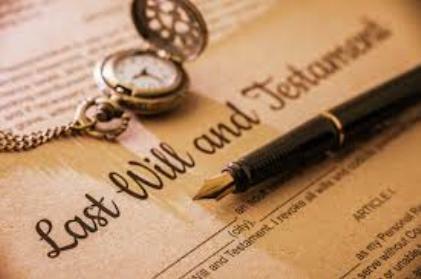 In the absence of a will providing specifically for the administration of a deceased's estate, it is up to the laws of intestacy to determine what happens to the entirety of our worldly possessions. Unfortunately, this doesn't usually correspond with the way we'd like things to turn out. For example, in a number of jurisdictions there are automatic provisions for spouses and kids, meaning you can disinherit, even with a will. There is also usually a default order of preference of who gets what and how much they get, which doesn't necessarily match your favourite relatives, or correspond to actual family set ups. In fact, cohabiters might run into problems getting anything, including the house in which they live without proper testamentary provisions in their favour. As you can see there are a number of obvious benefits to drafting a will during your lifetime. Sadly, many thousands of people die each year without making these provisions, and it really is a real headache for their friends and relatives who are left with the burden of a fair settlement. Intestacy causes hostility and stress, which can be readily avoided by just simply making a written will. If you haven't made a will, it is probably a good idea to make a appointment as soon as is convenient with a legal adviser to do so, to ensure your family are provided for as you would intend and to promote a favourable distribution of your estate on death. The news stories in the last few months have included some pretty alarming stories about bad products that have come to us from China. And we in the west do look with disgust at failures of a government to assure that products produced by merchants are safe for consumers. This is because our government maintains a high level of control, testing, and monitoring of products to assure that the consumers of these products are protected and consumers can buy them with confidence. Of course, this is not to say that problems with consumer protection have been eliminated. But when a product is found to be unsafe, we have a sophisticated system of recalls and alerts that go out over our media. In this way, that the damage and danger from inferior product is vastly minimized from what it might have been. 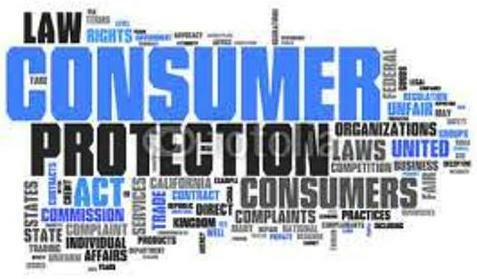 Consumer rights and protection are an important area of focus for manufacturers and merchants. These laws have a high level of importance for merchants and that drives up quality control and inspection even before the government or legal systems get involved. That is because the outcome of a recall or product failure, especially if that failure leads to injury or death of a consumer, can be devastating both to the individual merchant or company involved and to the market it serves that placing a high priority on quality is as much about market survival as it is about ethical behavior by companies. What can we as consumers expect in the way of our rights and the protections we deserve as being part of this economy? It breaks down to what we consider to be the basics of the contract that is implied when we give someone money for a product or service. We expect to be able to use the goods safely with no possibility of immediate harm or long term illness as result of using the product. We expect the product to perform according to reasonable expectations based on what the product was promoted to do both on the package and in advertisements. We expect to pay what the product is advertised to cost. We do not accept changes in price after that price is advertised or surprise costs to be added on that we weren't expecting. If a product fails to deliver the service it was advertised to deliver, or is found to be flawed in any way, we expect the merchant to refund or replace the product promptly and courteously. In the case of food, medicines or other consumables, we expect the product to be made of the highest levels of quality and to be reasonably fresh and usable. We expect the merchants involved in the sale of the product to stand behind the product with guarantees from the retail merchant all the way to the manufacturer. We have not come up with this list of rights and protections on our own. These are the minimum standards prescribed by our laws to assure that the consuming public can trade with merchant in any kind of product and service and be treated with the same minimum levels of professionalism and quality assurance. From the merchant's point of view, you might think these high standards of consumer rights and protections would be a burden. But in fact, these laws protect both the consumer and the merchant. That is because these laws make it possible for the buying public to engage in commerce with any merchant that is authorized to do business with confidence. Consumer protection laws make an active marketplace possible which benefits both consumers and merchants equally. So complying with consumer protection laws is not just essential from a legal point of view. It makes good sense for merchants to comply fully and perform above expectations in terms of their ability to deliver quality product to their customers. It just makes good business sense. When we die, most of us leave behind a fairly substantial and intricate web of assets and liabilities, including money, our home and our other possessions. In most jurisdictions, there arises a liability to tax on death that must be borne from the totality of the estate, and this can lead to a significant reduction of inheritance for our loved ones. Having said that, there are a number of ways in which liability to tax on death can be vastly reduced whilst still ensuring sufficient legacies and provisions mortis causa. In this article, we will look at some of the most salient ways in which one can seek to minimise his estate's liability to tax on death, and ways in which careful planning can help increase the legacies we leave behind. Tax liability on death usually arises through bad inheritance planning, and a lack of legal consideration. Of course to a certain extent it is unavoidable, but with some care and consideration it is possible to reduce liability overall. There's absolutely no point in making legacies in a will which won't be fulfilled until after death and which haven't been properly considered in light of the relevant legal provisions. 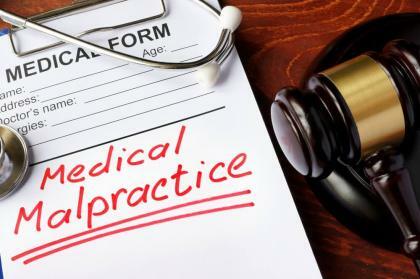 If you haven't done so already, it is extremely advisable to consult an attorney on minimising liability on death, and on effective estate planning to avoid these potential problems and to ensure your family are left with more in their pockets. If you intend to leave legacies to family members of a specific quantity or nature, it may be wise to do so at least a decade before you die, which will ultimately divert any potential legal challenges upon death which would give rise to tax liability. Obviously there is seldom any way to tell precisely when you are going to die, but making legacies at least a decade beforehand avoids any liability that might be attached on death. In effect, donating during your lifetime well before you die means you can still provide for your family and friend without having to pay the corresponding tax bill. Another good way to minimise tax liability is to get rid of assets during your lifetime by way of gifts to friends and family. One of the most effective ways to do this is to transfer your house to your children during your lifetime, or to move the house into a trust for which you are a beneficiary. This means you remain functionally the owner, but legally, the asset doesn't feature in your estate on death and therefore doesn't attract tax liability. Again, it is of great importance to ensure that the transfer is made well before death to avoid potential challenges and potential inclusion in the estate which would lead to inheritance tax liability. Death is a particularly important phase in our lives, particularly in legal terms. The change between owning our own property and distributing ownerless property provides a range of challenges, and the controversial tax implications can cause serious problems. Without careful planning and an expert hand, it can be easy to amass a significant tax bill for your loved ones to bear. However, with the right direction, it can be easy to use the relevant mechanisms to minimise the potential liability to tax on your estate upon death. Copyright is a legal fiction designed to protect the works of artists, inventors and innovators. In essence, it is a legal bar, allowing exclusivity for those who create works in the form of an intangible asset which can be sold or relinquished, and which expires upon a certain period of time. With the growth of the internet, and the creation of more and more content, the question of copyright is becoming increasingly more relevant, and one which more and more webmasters are considering to protect their own interests. Additionally, with the rise of the freelancer market, the issue of copyright is becoming a heated topic of debate for both buyers and sellers at every stage in the production chain, and the effects of not having the relevant rights could be potentially catastrophic. In this article, we'll look at what exactly copyright is, and how it relates to the internet in content creation. Copyright is an artificial concept that gives the creator of a work, or the person he sells the right to, the legal right to use or modify in whole or in part, and to call their own. It has a different meaning in most jurisdictions, however the basic principle is the same: the creator owns the original copyright to the work in question, and has the freedom to pass this on at will, usually in consideration for money. Where a creator is working on commission, copyright is designed to act as a lien in his favour, meaning that if he creates and passes on but does not receive payment, he can withhold copyright and sue for breach where applicable. Of course, he would also have remedies under the ordinary law of contract, but the grasp of copyright is a very powerful tool, which can even be used against the third party buyer from the original commissioner. Copyright is designed as a tool to cover what is known as intellectual property. Committing intellectual thoughts and ideas to paper, or making them tangible is usually sufficient to give rise to the copyright protection, which usually lasts for a number of decades in preventing others from steeling ideas. This is primarily designed to encourage forward thinking and art, and can be a vital tool in protecting the financial interests of those responsible for some of the world's most vital progressions. Consider the inventors of the seatbelt, Volvo. Volvo could have used their copyright to prevent other manufacturers from installing seat belts, and this would have been sufficient to protect any other manufacturer from doing so. Of course they waived their rights for the safety of the general public, which is also a possible consideration for the creator of something new and innovative. Copyright is a dynamic area of the law, and is particularly relevant to the internet. As more and more content of more and more varieties is created online, there comes a need to find protection in copyright law to prevent unscrupulous parties from using content without authorisation. 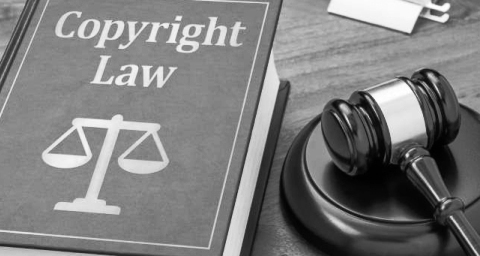 In combating this, a number of international legal organisations have been established with a view to tackling copyright violation, and helping those without legal support to fight cases for the protection of their work. It is undoubtedly an area of law that is on the ascendancy, as lawyers worldwide strive to find a cohesive structure to online intellectual property law, and the protections online authors should be afforded for creating their works. At least within national boundaries, it is highly possible to rely on copyright laws to protect and govern material. 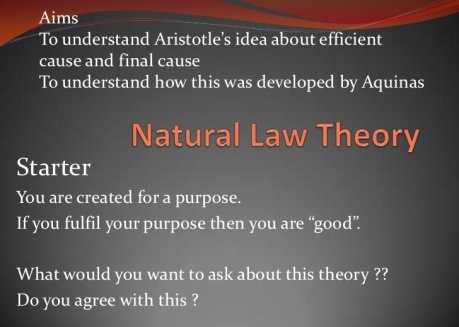 In attempting to garner an understanding of the nature of law, early legal philosophers and academics formulated what has come to be known as the natural law theory, and has become a literal cornerstone of the development of modern legal thinking. Although somewhat limited in modern jurisprudential thinking, natural law has had a tremendous impact on our understanding of what law means in society as a baseline from which to build more complex theories. In this article, we will look at some of the major propositions underpinning the concept of natural law, and the corresponding strengths and weaknesses of this fundamental interpretation of the legal function. Natural law starts with the basic premise that the law is driven by morality, and consequently is affected by it. With a history extending back to Aristotle and other early philosophers, the natural law theory has traditionally linked the law with religion and an innate sense of justice, rather than the more pragmatic approaches of some other theories. Although this might sound rather basic, the principals have been developed and refined through academic debate for centuries ultimately leading to a far more sophisticated theory of the nature of law. The idea that all law is subject to an unwritten code of morality is fundamental to natural law. This also throws up some potential problems in terms of civil regulation. Certain natural law theorists suggest that for a law to be binding on the citizen, it must conform to this sense of natural justice. However, there is clearly no definitive objective concept of morality, which casts doubt over this principle. Additionally, the prospect that a law may be disregarded in favour of some higher sense of morality doesn't conform in reality, considering the potential implications of consistently disregarding law on the grounds of the subjective concept of justice. Furthermore on this primitive understanding of natural law, the citizen in contravention to the laws of his state, could attempt to excuse his actions through a justification of 'immoral' laws. This would also create a state of disorder, given the natural variation of personal opinions, which would ultimately render society unworkable. For this reason, the natural law scheme has failed to garner modern academic acceptance, of course with a few exceptions. Natural law has been proposed as a consideration in trying war criminals, on the basis of the retrospectivity principle, i.e. no man can be tried for a crime that was not a crime when he committed it. Many war criminals are merely cogs in the machine of a legal regime, which ultimately permits their actions, however unjustifiable morally. Natural law theories give a basis for challenge on these grounds, whilst avoiding the awkward question of direct legal contravention, which ultimately works to serve justice. In this sense, it is perhaps useful as a canon of interpretation and in determining just and equitable outcomes in 'difficult' cases. However, as a wider legal concept, natural law and the proposed intersection between law and morality seems too awkward to reconcile with considered academic legal understandings. Having said that, natural law has provided an excellent starting position for further advanced argumentation, and has provided a platform for critique that has been essential to the development of the more sophisticated ideas held in regard in this modern day.